Han Seung-seok &Jeong Jae-il Come to the Stage of the World-famous Jazz Festival in July with Pansori. - Switzerland's "Montreux Jazz Festival," marking its 50th founding anniversary, is one of the world's three best summer jazz festivals. - They will perform at the stage of "Quincy Jones presents" of "Montreux Jazz Club" on July 7 under the title of "Bari, abandoned." - After releasing the album titled "Bari, abandoned" in 2014 under the sponsorship of CJ Culture Foundation, they have shown active performance activities both home and abroad. Their special performance will unfold at CJ Azit on July 16 to 17. 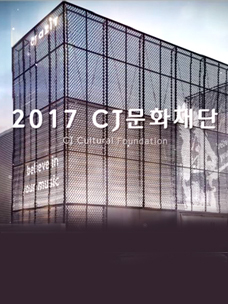 - CJ Culture Foundation is following and realizing Chairman Lee Jae-hyun's philosophy on culture management and social contribution, which emphasizes the diversity of the culture ecosystem and the development of K-Pop content. [CJ Culture Foundation=2016/6/30] This summer, pansori, a type of Korean traditional music, is expected to be introduced to music fans around the world through the world-famous global music festival, "Montreux Jazz Festival" to be held in Switzerland. Pansori master Han Seung-seok and exceptionally talented musician Jeong Jae-il will appear on stage on July 7 under the title of "Bari, abandoned", with the support of CJ Culture Foundation. 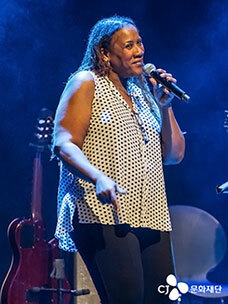 "Montreux Jazz Festival" is one of the world's three best summer jazz festivals alongside the "Montreal Jazz Festival" and the "Copenhagen Jazz Festival". This helps music fans enjoy various genres of music such jazz, blues, rock, rap, pop and soul with the wonderful scenery of Lake Leman. With this year marking its 50th founding anniversary, the festival will be held for 16 days from July 1 to 16, with an estimated 200,000 people to attend. Han Seung-seok and Jeong Jae-il will perform at "Montreux Jazz Club", one of the festival's three main stages at 8p.m. on July 7.The stage of "Quincy Jones presents" of this year's "Montreux Jazz Club" features four bands consisting of young musicians recommended by Quincy Jones, the living legend of jazz: Jacob Collier, Alfredo Rodriguez, and Richard Bona as well as Han Seung-seok & Jeong Jae-il. With all of the seats sold out already, it is quite clear that there is a high interest in world music, including pansori. Han Seung-seok & Jeong Jae-il's album "Bari, abandoned’ was released in 2014, as part of CJ Culture Foundation's project to globalize pansori. CJ Culture Foundation, which has supported the creative activities of new or indie musicians for the greater diversity of the Korean pop music market, contributed to the creation of the pansori album in collaboration with pansori master, Han Seung-seok and the exceptionally talented musician, Jeong Jae-il. This album can be enjoyed by anyone as contemporary pop culture content beyond just traditional culture. 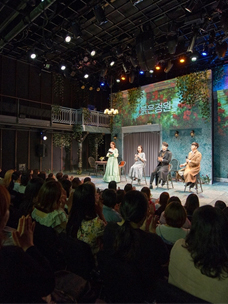 A message of comfort and relief written by playwright Bae Sam-sik was added to "Princess Bari," a folk tale about abandonment, forgiveness and humanity, to complete the lyrics of modern sensibility. Other various elements of traditional Korean music were included into the pansori of Han Seung-seok and piano performance of Jeong Jae-il. "Bari, abandoned" has been highly acclaimed for its musical value in that the very Korean music pansori and the very global music instrument piano came together to provide a new music experience. In particular, the work was selected as the "Best Jazz & Crossover Album" of the 12th Korean Music Awards 2015.
abandoned’ will be released in March, 2017.
with which to enrich pop culture." Meanwhile, CJ Culture Foundation has operated projects to find and nurture new talented creators of pop culture and support content development since 2010 through "Tune Up" for the music category, "Creative Minds" for the performance category, and "Project S" for the storytelling category. Additionally, April 2016 saw the opening of CJ Azit Daehakro by CJ Culture Foundation to mark its 10th founding anniversary. 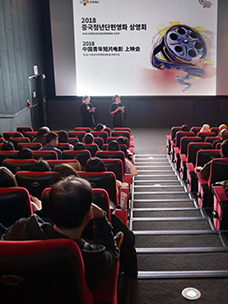 Following CJ Azit Gwangheungchang, this theater is expected to be used as a space to support the creative activities of new creators and help with public cultural interactions.